For anglers, there is nothing better than catching a big fish and having proof of the event as it happened. While the first half of the task can easily be achieved, the other half would require buying a wireless underwater fishing camera. An underwater fishing camera allows you to see all the action as it unfolds in water. It makes fishing all the more exciting. Whether you buy Go Fish Cam wireless underwater fishing camera or any other, you should ensure that it is the right one for you and your fishing needs. Go Fish underwater wireless camera is amongst the most advanced video equipment available in its category. It allows you to see the action as it happens. You can clearly see how fish react to lures and baits, something that isn’t possible from the viewpoint of an angler. There are numerous reasons for having a wireless underwater fishing camera handy when going on a fishing trip. Having a camera with underwater performance capabilities will allow you to better size up the competition and choose spots where you are more likely to find bigger fish. This will allow you to have a more successful fishing day without really having to wait the entire day to catch a fish. 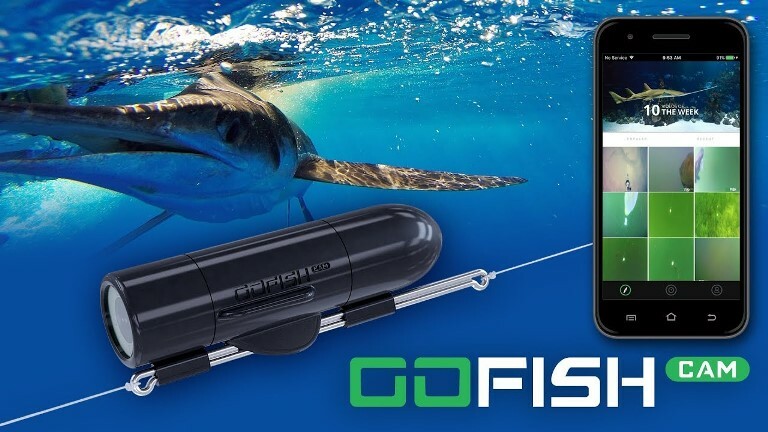 Go Fish Cam wireless underwater fishing camera or the one you choose to buy will help you understand fish behavior and see things from the perspective of a fish. How would they react after seeing a bait? You will find answers to questions like these when you use a wireless underwater fishing camera. Now that you know why you need an underwater fishing camera, it is also very important to understand what you need to consider before you move any further. What conditions will you be using the camera in? What about memory size? The time you shoot everyday would have an impact on the memory size. What water condition do you want it to handle? Tropical fishing, ice fishing, or any other type. It is very important to find answers to these questions, in order to choose a camera that is going to help you with things that are discussed earlier in this piece. With the right underwater fishing camera, you will be figuratively within touching distance of the fish. These cameras have also played an important role in allowing fishing to evolve as a sport, in a way that you wouldn’t have imagined a decade or two ago. So, if you don’t already own one of these cameras, you should go ahead and buy one. If you already have an old model, then you can upgrade it.